Explore the systems and components that make up modern dairy farms and learn how management practices impact sustainable production while addressing climate change challenges. 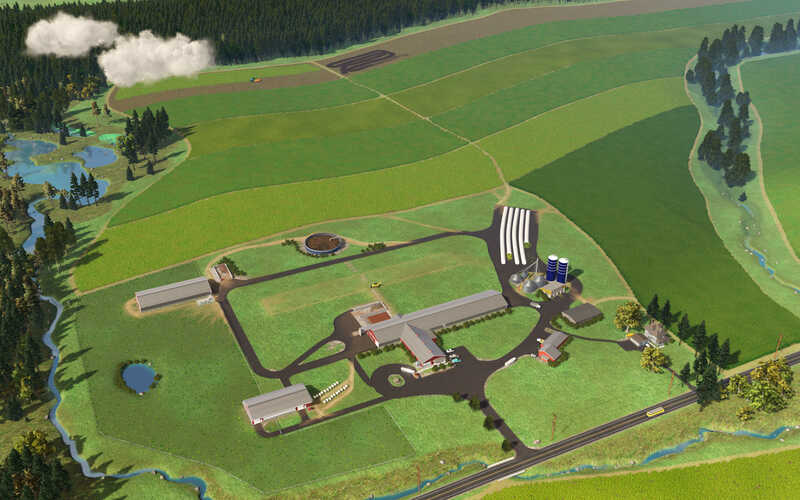 This virtual farms shows typical dairy farming practices for modern farming systems with 150 and 1500 cows. Each system can be investigated at a variety of levels by using the mouse to hover over a farm component. By drilling down deeper and deeper into the knowledge base, the user will gain a better understanding of how farm operations work. 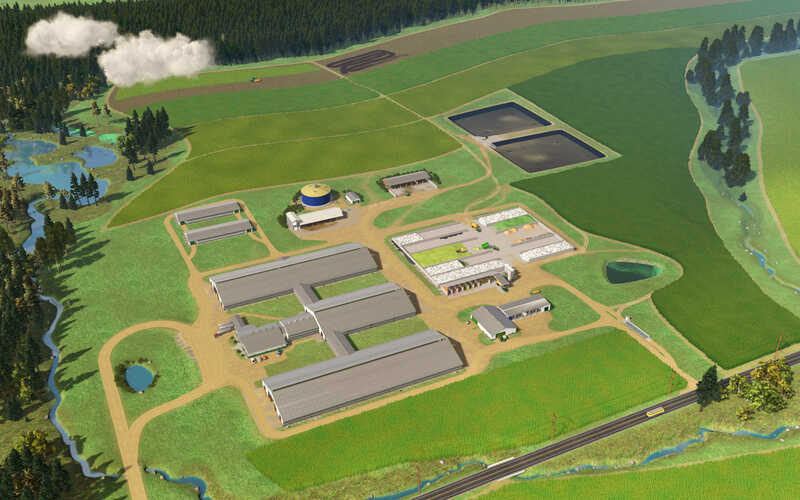 What are the typical components of a modern 1500- or 150-cow dairy farm? How do farm components integrate to form efficient management systems? How can modern dairy farming be more efficient, humane, environmentally conscious, and economically sustainable? This website is part of the Sustainable Dairy Project, a joint effort from the agricultural experts and scientists at the University of Wisconsin-Madison and Penn State with partial funding from the USDA. This material is based upon work that is supported by the National Institute of Food and Agriculture, U.S. Department of Agriculture, under award number 2013-68002-20525. Any opinions, findings, conclusions, or recommendations expressed in this publication are those of the author(s) and do not necessarily reflect the view of the U.S. Department of Agriculture.